Sour Pickles, Half-Sour Pickles, Hot & Spicy chips, Kosher Dills, Whole, Spears, Chips, Deli Mustard, Sweet Peppers, Hot Cherry Peppers, Giardiniera, Marinated Mushrooms, Pickled Tomatoes, Sauerkraut, Large Assortment Of Olives, Horseradish, Sweet Relish, and much more ! Guss’ is certified Kosher by the Orthodox Union (OU). Also available at most WHOLE FOODS stores nationwide. Pickles, Tomatoes, and Sauerkraut. Shipping size is only gallon or five gallon pail. 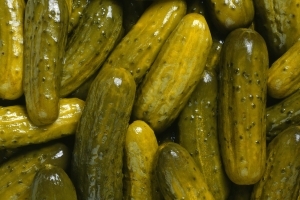 If you need the pickles shipped please go to our shipping page. OUR 4 MOST POPULAR ITEMS SHIPPED!!!!!!!!! Fresh cucumbers are packed in barrels with our own blend of all natural pickling spices, freshly – chopped garlic, and a saltwater brine. They cure in barrels for at least a few months, producing their own sourness and unique flavor. 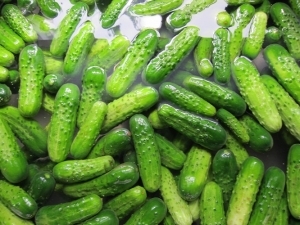 Fresh cucumbers are cured in a saltwater brine and skillfully seasoned with our own blend of natural pickling spices and freshly chopped garlic. They cure in a salt and vinegar brine with all natural pickling spices, freshly chopped garlic, coriander, and celery seed. 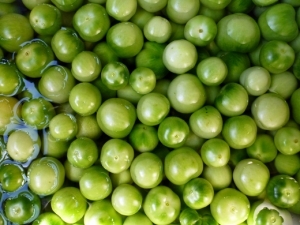 They develop a full, zesty flavor while retaining their crisp texture and fresh character. It ferments naturally for a minimum of 30 days, developing a fabulous full flavor and crisp texture. 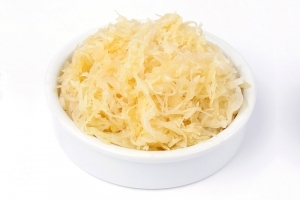 This sauerkraut is simply the best available !